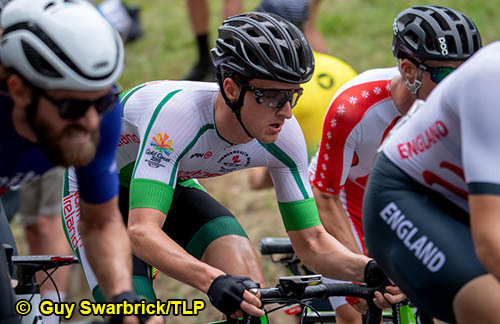 Mark Downey came agonisingly close to a medal in the sprint for gold in the Men’s Road Race at the Gold Coast Commonwealth Games in Brisbane, Australia. 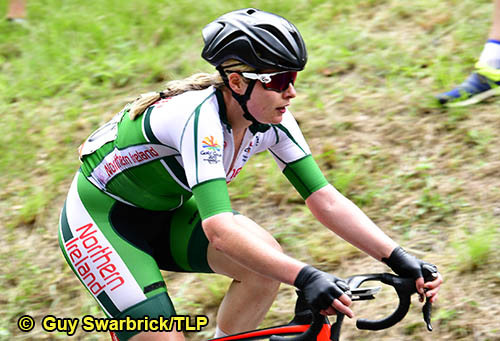 Racing for Northern Ireland, Downey finished fourth with the same finishing time as the winner in the 168.3km race. The men’s race was won by Australia’s Steele Von Hoff in a time of 3.57.01. 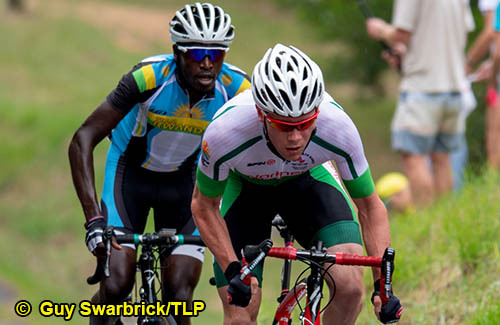 Jonathan Mould (Wales) won silver, and South Africa’s Clint Hendricks denied the Dromore man a podium finish by pipping him for bronze. In the women’s 112.2km Road Race Lydia Boylan finished in 32nd position, ten minutes adrift of winner Chloe Hoskins (Australia). Silver went to New Zealand’s Georgia Williams and bronze to Danielle Rowe (Wales), in a five-bike sprint for gold. 21-year-old Downey has enjoyed significant international success as a Junior and U23 rider already and has enjoyed the experience – “I’m happy I’m on the right path and enjoyed my first games experience. I look forward to enjoying my few days around Australia taking it all in. Watch this space. 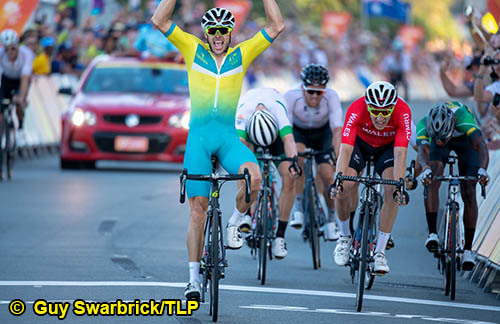 This was the final cycling event at the Commonwealth Games which ran from the 4th – 15th April in the Gold Coast, Brisbane, Australia. 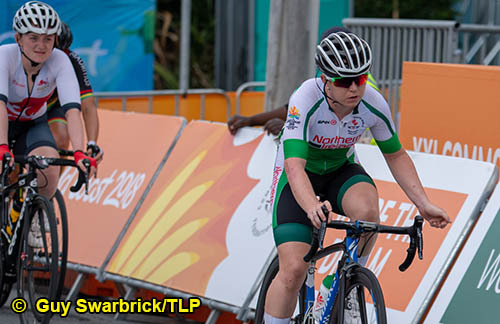 Throughout the Games the Northern Ireland team raced solidly to achieve five top ten results including today’s fourth place finish by Downey and seventh placed Marcus Christie in the Time Trials. In the mountain biking event Cameron Orr was eighth, and on the track Lydia Boylan finished eighth in the Scratch Race and Robyn Stewart ninth in the Sprint.